After a big global success of kwadron needles, we have worked on the new needles based on hard steel with long taper blades. 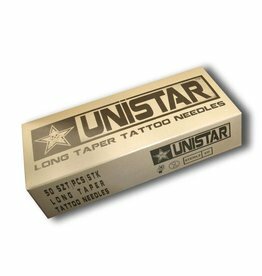 Designing various configurations, based on our own experience and your opinions using several blades we created new product called UNISTAR™. Many of you were curious about soft edge magnum, and it is through forms of the arc in which they are soldered needles.